Welcome to Tri-Lelve Images! 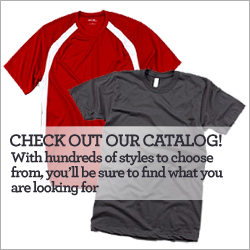 Full service embroidery, screen printing and promotional products shop. Our goal, is your complete satisfaction. Over 25 years in the screen printing industry; Tri- Level Images knows who to fulfill your order! Experienced embroidery service with top of the line equipment to create your brand and fulfill your order to perfection. Everything from lanyards to USB Sticks to Sunglasses, our product line has your brand covered. 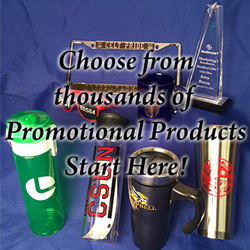 “This is the very best place to order all printed items, tee shirts banners, cups, pens. They carry it all and they have the best most compatible prices in the industry. They are extremely helpful all you have to do is telll them what you need the quantity and tehy give you top notch product for the greatest price. They also do rush orders if you need things done last minute. best prices, best product, best service. I would highly recommend tri-level to everyone i know. the owners art & kelly are honest people and extremely helpful and kind. “I have had a several items made with Tri-Level and have been pleased with the level of quality. The items include embroidered robes, custom engraved flasks, etc. Good people with good quality. The poor reviews below kind of confuse me because my experience was completely the opposite, but since they mention someone by name I guess they're more personal than professional based? I dunno, I had a good experience and I'll be back!